Cooking alongside existing Head Chef, André Gerber, Cheré Morgia has recently been promoted to form a unique culinary ‘Head Chef duo’ at Camp Jabulani. Between Cheré’s Italian father and Afrikaans mother, cooking always played a big part in the family’s day to day lives. The oldest of the three children, Cheré started cooking even before she could reach the top of the stove. She prepared her very first solo dish – a special Valentine’s dinner for her parents – at the tender age of six. When Cheré’s family moved from Johannesburg to Pretoria to open a rehabilitation centre for people suffering from addictions, she developed a real passion for food. Recognising her love of all things kitchen and culinary led Cheré to grow her own vegetable and herb garden, and before long this budding chef was cooking meals for her family as well as the patients at the rehabilitation centre. Being of the firm belief that one should never serve the same dish twice has made Cheré very popular with everyone she cooks for. 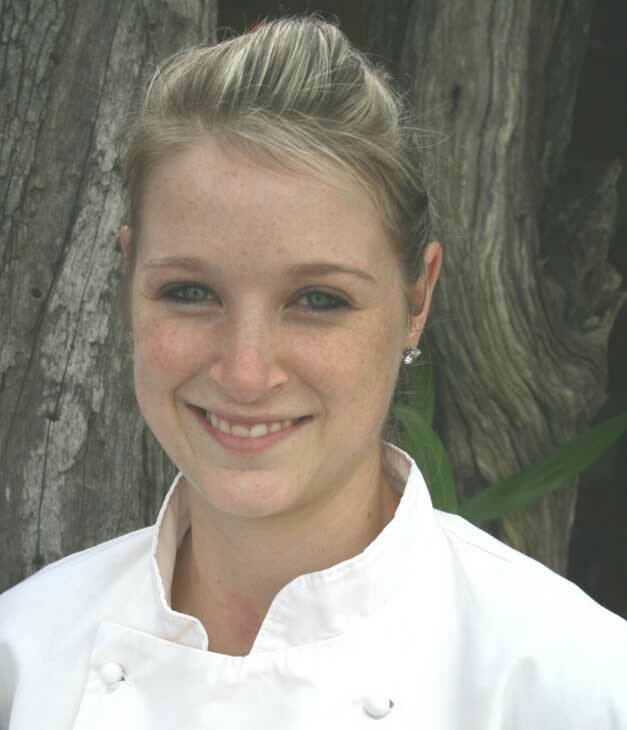 Cheré completed a three year course at the Institute of Culinary Arts(ICA) in Stellenbosch in 2009, where she specialised in Front House and Sommelier fields. Cheré loves both the front and back of house operations, which is one of the things she enjoys most about her job. At Camp Jabulani she has the best of both worlds – she gets to flex her creative muscles in the kitchen, while at the same time indulging her love of people by interacting with the guests. Cheré combines the knowledge she gained through her studies at ICA with her father’s rustic Italian cooking style to create a perfect blend of the two. “We have a wonderful team in the kitchen – we all have our own individual style of cooking so we complement each other well. We are extremely fortunate to have the freedom to experiment and come up with new dishes on a daily basis,” says Cheré. A BIG congrats on your promotion. Am still using your gluten and egg free recipes and enjoying them as much as ever. Am now able to tolerate all foods except gluten so it will be easier when I return to Camp Jabulani.